Today is #12DaysofConstantChristmas Day 11 of my advent competitions. I am very excited to be back running these fabulous advent competitions again. Over the first 12 days of December there will be a collection of 24 hour competitions followed by Day 12, the finale competition – that is a longer competition and for a bigger prize, over £500’s worth of prizes this year! 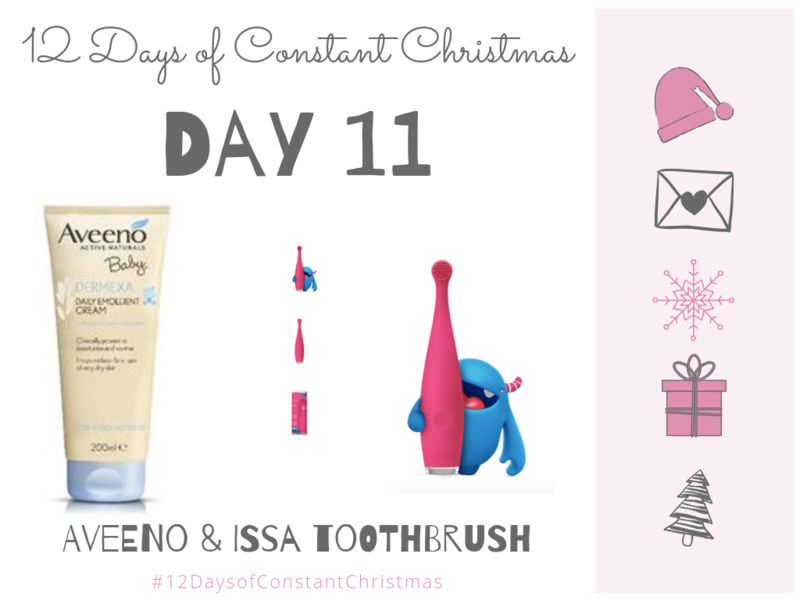 Today’s competition is for a Foreo Toothbrush and Aveeno goodies.